HAVE YOU NOTICED THAT WHAT YOU GIVE, YOU GET BACK SOMEHOW? :) That is because of the 4th Universal Law for Energy, ‘The Law of Appearances’. If you think back, for instance, you may recall times when the presents you gave to people, came back to you in a different form, yet recognizably close to what you had given away. Or, you may remember situations, when your negative actions directed toward others, brought you a temporary victory over a given situation, but later were mirrored in similar actions toward you by other people. ‘The Law of Appearances’ is based on the principle that there is an apparent loss, while there is an actual gain. And apparent gain, while there is truly a loss. When we remember Einstein’s famous equation ‘e=mc2’ we also remember that everything in the universe is Energy. Everything from tiniest atoms and cells to humans, planets and galaxies is a part of one huge Energy field. 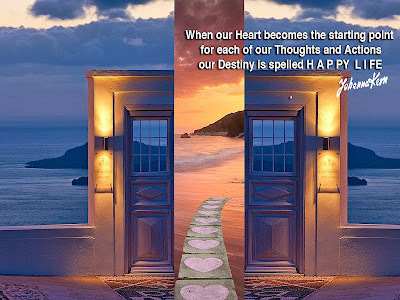 You might also recall what Nicolas Tesla said: “If you want to find the secrets of the universe, think in terms of energy, frequency and vibration.” Or – recall my previous posts explaining quantum physics principles. In Quantum field theory, all ‘particles’ are excitations/vibrations of an underlying field. In other words: EVERYTHING IS ENERGY. Including our bodies, our actions and our Thoughts. AND – EVERYTHING VIBRATES. The vibrations vary in their frequency, in such a way that vibrations with higher frequency have higher energy, with their total energy being a multiple of their frequency. The higher the frequency of a given vibration, the higher its impact on everything else. Let’s talk about our Thoughts. Once we understand that our Thoughts are also actions, because of their vibrational nature, we might realize how important they are in the process of our living, and bringing about events, experiences, situations or people into our lives. Our Minds work similarly to huge transmitters: the Thoughts we send out behave like radio waves – having particular frequency and quality. According to ‘The Law of Appearances’ every action, or Thought, has a starting point. It is called ‘The Launching Point’. The vibrations that are being used at the Launching Point, these Thoughts or feelings, if you may, are called Intentions. And these Intentions, used at ‘The Launching Point’, may vibrate with various frequencies, just like radio waves. Depending on the frequencies of your Intentions at ‘The Launching Point’, you will gain or lose. High frequencies of your Intentions will bring you a gain. The low ones — a loss. Let’s have a look at which is which. When we examine for instance the human brainwaves, we find out that those of the highest frequency of vibrations, especially Gamma waves, are related to expanded consciousness, altruism, and the ‘higher virtues’. Researchers are still puzzled by the fact, that Gamma rhythms modulate perception and consciousness, disappearing under anesthesia, or in a deep trance. Another mystery is how Gamma waves are being generated – since their frequency is above neuronal firing. Now, according to quantum field theory (and, interestingly, according to what many philosophers, mystics and belief systems have observed for thousands of years) the higher frequency of vibrations, the higher impact/energy they have on everything else. That’s why expanded consciousness, altruism, unconditional Love – that is the ‘higher virtues’ – have such enormous power, changing ‘reality’ in a blink of an eye. Next time I will talk about the ‘The Law of Chain Reaction’. NOTE: If you missed it - see my post from April 14 – a simple/in a nutshell explanation of how, according to science, we create and co-create our “reality” and how it relates to what mystics and philosophers have been saying for thousands of years. 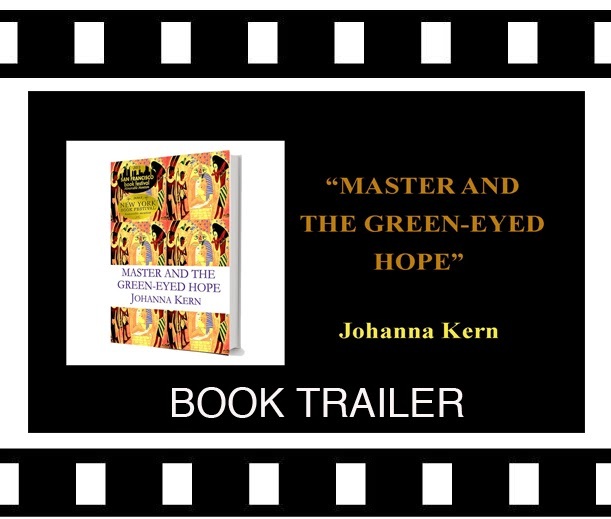 More detailed information about the Universal Laws you can find in the book “Master and The Green-Eyed Hope”.